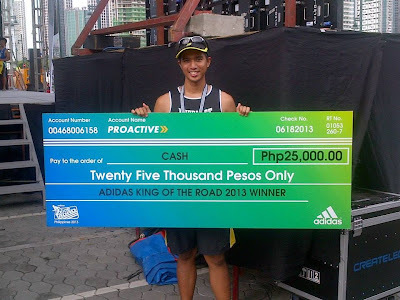 Adidas King of the Road (KOTR) is an annual series of races held around southeast Asia. 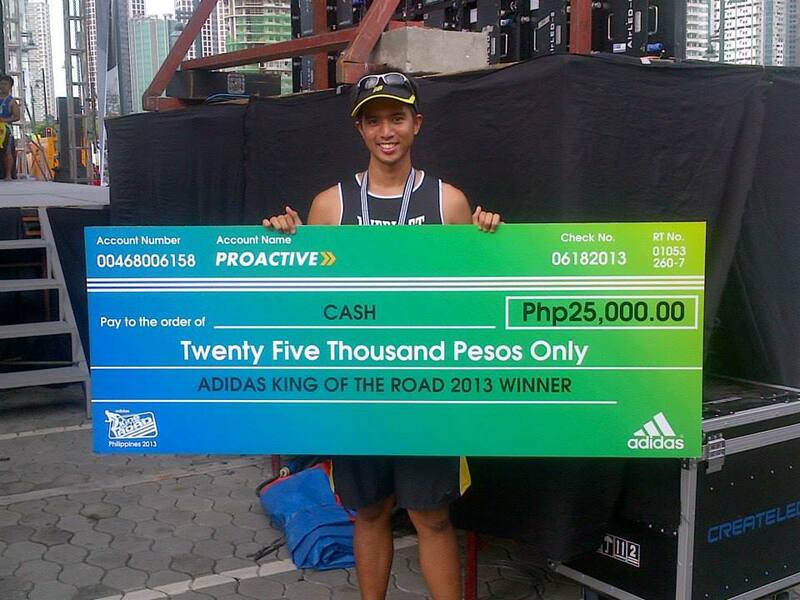 This year, Philippines was the country to start the series by holding KOTR 2013 on July 7 at BGC. The week before the race was spent in vacation so I had to skip a few training days to rest and be lazy. In terms of the registration, I had to drop by an Adidas store to fill up a form only to find out that our race kits will be given a week before the race. This wasn't communicated to us clearly but what can you do that is the way it goes. I was somewhere else when the fiasco of long queues in Adidas stores was happening. In that event, the organizers had asked the participants to claim their kits in BGC on June 29 to 30 and in Adidas stores in MOA, Trinoma and BGC for July 1-7. Despite the experience of previous KOTR races and other organized races, the claiming event was a chaotic. I wasn't a witness of this event but a lot of my running friends had something to say about this. On July 2, all claiming were moved to BGC, which was a hassle for people in the north. I decided to claim on that date to avoid the long lines. The race kit claiming venue was disorganized. Race kits were scattered everywhere and not everyone knows how many singlets of a particular size was available. Luckily, I had the luxury to use the VIP line and Running Host Boy Ramos was there to chat with me so I didn't have the time to get annoyed at their disorganization. They gave me a size S singlet even if I ordered a size XS singlet. What can I do that the only size available? Also, they hadn't taken into account the forms we filled up before the race. They also didn't note which race bib got to whom. The reason behind the wrong details on my race results. More on this later. I was out late with friends the night before the run so I ignore the urge to set a PR. This was my first 16.8km official run event so it will be a PR anyway. I arrived in the venue a few minutes before gun start since the taxi I rode wasn't familiar with BGC and I was still sleepy to care that he was already lost. The line to the baggage was also long so I arrived late to the starting line. 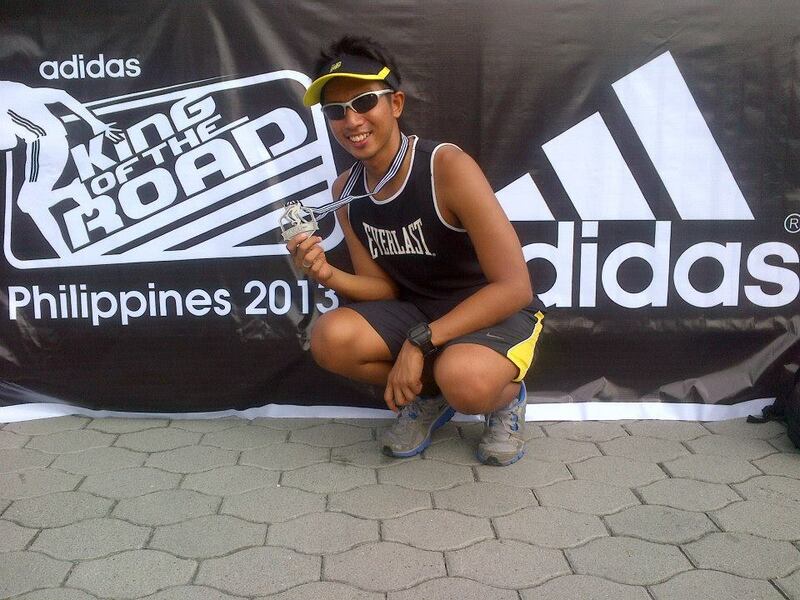 Luckily, Enrich found me in the venue and I asked him to pace throughout the race. 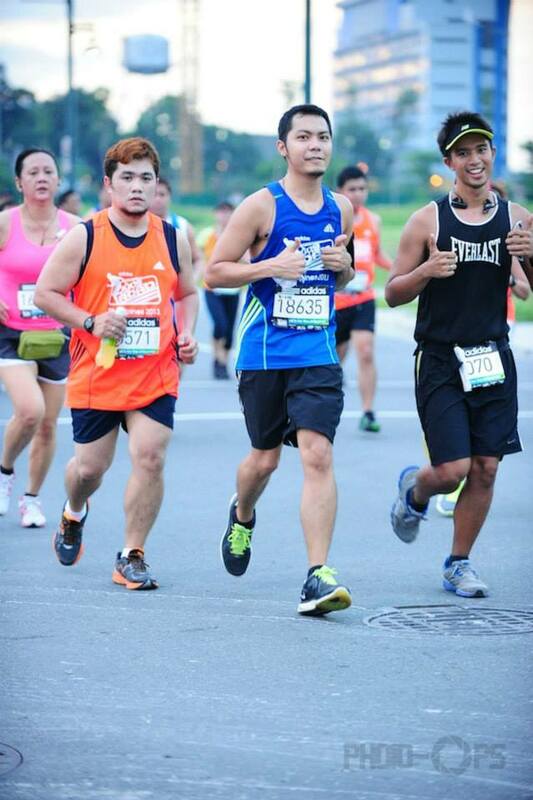 We started running at a steady pace as we passed the BGC area. We continued to do so until the Buendia flyover route and had to take a few walk breaks. 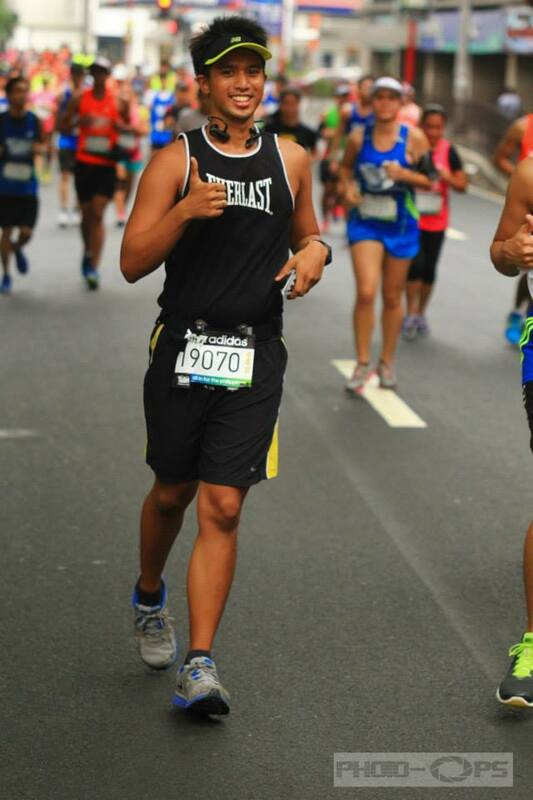 At around 4km, we saw CJ strolling in the flyover and urged him to run with us. We were walking and running together in that first half and back. But we lost CJ towards the last 2 kms as he decided to walk and Enrich continued to run as his feet were starting to hurt. We found numerous photographers on the road but only found a few of them had the opportunity to take our photos. My Garmin watch says we finished 2:14. Unfortunately, my official race results I'm female named Rina so I'll just ignore that one. 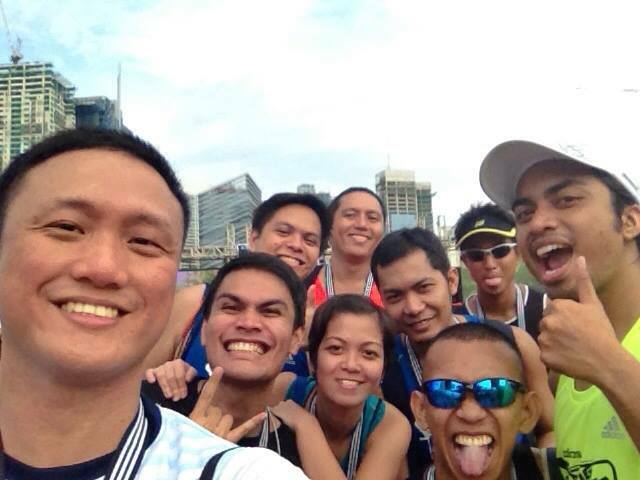 We found Rodel by the baggage area and we met with #RunnerRushers for a quick photo op. We also took photos at the event area. I made my way to the media tent to have my photo taken at the photowall and played with the winner's check near the stage. We had breakfast at Banapple. Asking for our singlet sizes and not providing it even after a few months of preparation at the race kit claiming event is a big failure. That was also a very disorganized event which resulted to many runners (including me) to get the wrong official results. It would have been nice if they replied to my inquiry but almost 4 weeks after the event they haven't gotten back to me yet. The event costs expensive compared to other runner event because of the Adidas singlet and not being able to provide that for the participants is a great room for improvement. As for the event itself, it was organized. I commend their baggage organization as they had put numbers and tent details on our bib but each tent has 5-6 people they could have served people faster. The hydration was also sufficient for the participants. The race route was easier that other races and we need that "rest" once in a while. 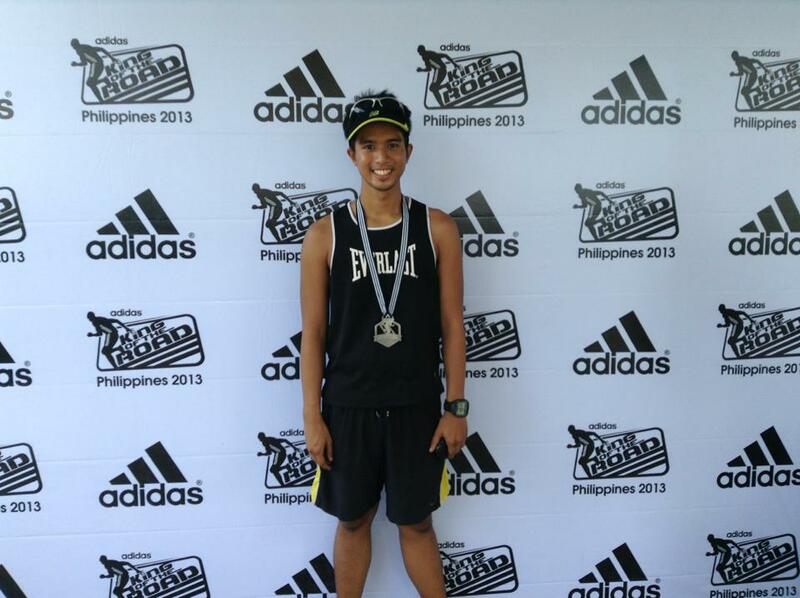 The finisher's medal is a great souvenir. I just wished the singlet would have fit better. Congrats to all the participants who finished! I was lucky to get my singlet on the first day and using the VIP lane too though after that things went awry. 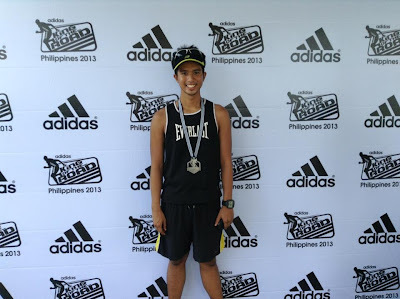 The race was ok as well and adidas is a tradition to me so it's a must race every year. its's good your doing this as early as now:)good luck on your journey. 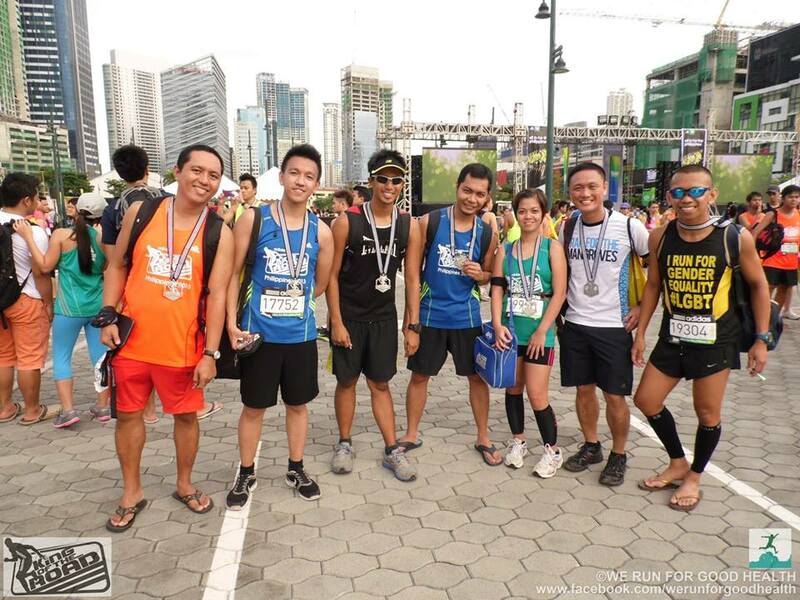 maybe you should register early next time... hehehehe btw i am one of the cheerer near sti bgc.. barefoot group.. congrats on your run..
i was actually there at that fitness event. it's good to read that you had fun! Franc:Lucky you for getting the correct singlet size. I agree the race was great. Jho: running groups always welcome newbies. You just have find one that suits your goals or even your proximity. Sef: yes, that was fun! :) hope you had fun too! Very brave of you to stay out late the night before the race. Hehe. Also how odd that there is still a taxi driver out there not familiar with BGC! Congrats on the race! 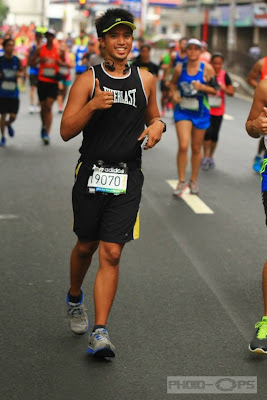 Why you should run your first 42k in TBRDM?